Just to be clear, this isn't the game about folding paper we've all been waiting for. This is actually a game about sneaking in the shadows and not getting caught. In real life this kind of behaviour would normally result in a court/restraining order, but in the world of video games, anything goes. You play the titular character, an assassin, who finds himself in that awkward position of being not quite alive and not quite dead - we've all been there. In this undead state, Aragami discovers that he has supernatural powers; these mainly manifest themselves around shadows, which he can manipulate to a certain extent. Aragami can cast shadows and then use his nifty ability to Shadow Leap to get around. This is not only particularly useful but a constant necessity if he is to survive against his enemies the Kaiho light warriors. At the start of the game, our hero is a tad dazed and confused, so it is down to Yamiko, a mysterious spirit-like girl, who it turns out summoned you in the first place, to fill you in on what the bejesus is going on. Your objective is to collect talismans, of which there are six in total, which will set Yamiko - and hopefully yourself - free, and then you will finally know the truth about what happened to you. She's not quite what I expected from the catalogue, but she'll do. Your average stealth game, like Metal Gear Solid (although, to be fair, that franchise is far from average) offers more than just sneaking around; Snake can shoot stuff, as well as hide in a cardboard box to name just two. 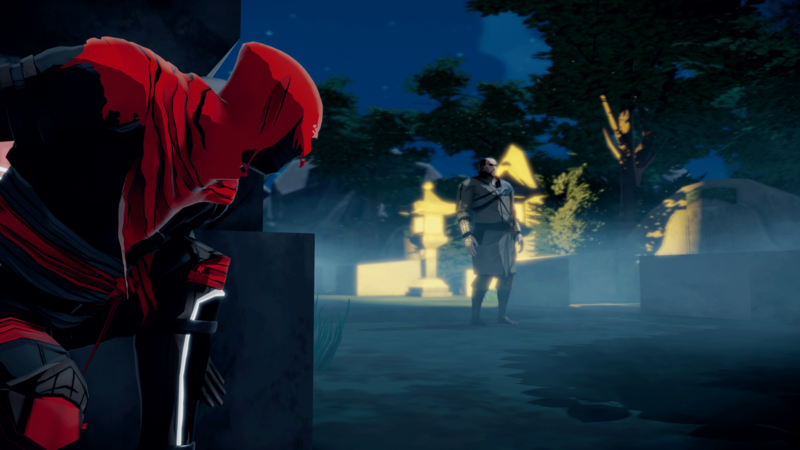 Aragami however, is all about the stealth; so much so that combat is nothing more than one button press. This in itself is no bad thing; it means you have to think tactically about working your way through each level, as slashing everything in your path isn't an option. Although the game should be commended for sticking to its guns (if only) as far as the stealth is concerned, it's let down by its execution. There is very little variation in the enemies you face; they stand there, weapon by their side, and walk a set pattern, which you will have to learn if you want to progress. To dispatch them, you have to sneak up behind them and take them out with your sword. Alternatively you can attempt to use your powers to sneak past them all without being noticed. Or you could use a mixture of the two. Either way you don't want to get caught, as you will be unceremoniously sent back to the start of the level. But it's the lack of variation in its game play that ultimately let the game down. It is incredibly repetitive to the point that picking out that ball of fluff from your belly button you've been putting off, suddenly becomes a more entertaining proposition. I wish he'd move on, my knees are giving me jip like there's no tomorrow. It's great that you can pick up more powers along the way, but they don't amount to much when the game play is so darn rigid and repetitive. So what do you have to do in this level? Oh, exactly the same as every previous one. Joy. If you can get past the whole 'move, hide, kill, repeat' cycle, the game has a lot to offer. It looks pretty scrummy for starters; it uses a pleasing palette and evokes an authentic atmosphere for the period. Its music also does well in setting the scene. It just would have been nice if it wasn't as predictable as it is. 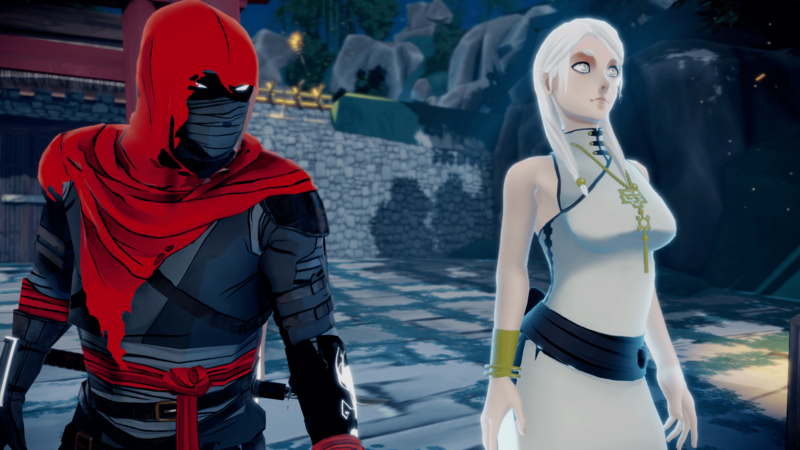 Aragami does enough right however, that we'd be interested in checking out a sequel, if one was forthcoming, to see if it had developed further and broadened its narrow focus.